3 Old Houses with project approved - Property for sale. Full Description: 3 OLD HOUSES (with project approved) PRICED TO SELL 238000 Euros Located approx 10 mins from S.B.Messines and Silves in a very quiet and much sought after rural area, +/-10 mins. to golf courses , +/-20 mins. to the coast and with Faro airport at +/- 50mins. 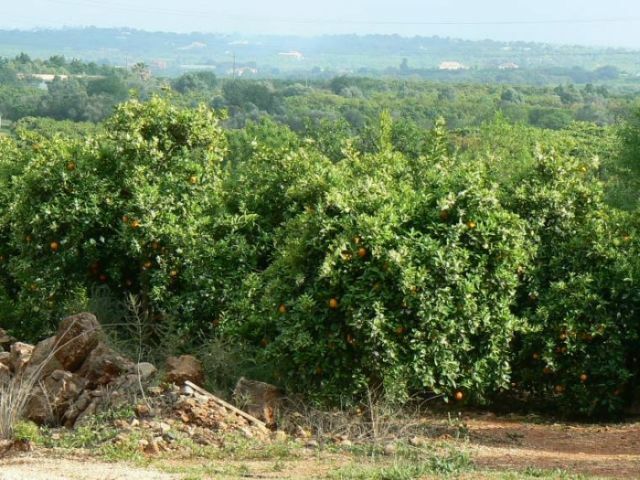 In an elevated south facing position, with excellent access, good views, very fertile flat land with olive, almond, fig, peach and apricot trees and surrounded by orange groves. Situated on two adjoining plots, +/- 3000sqmt (+/-1000 sqmt urban land) all papers in order. 3ph electric, night-meter, telephone, internet, water from borehole and with drainage to septic tank. Huge potential, suit 1or2 families, B+B, rental, investment etc. This listing has been viewed 710 times.